They are the Nauticstar 23 Deck Boat and the Scout 19 Sportfish. Both of these bring additional flexibility to an already great fleet of boats and express yachts. The Scout is the deluxe model featuring both a live well and fish box and, with a draft of only 12”, is the perfect choice for fishing in the creeks and skinny water around the Intracoastal. It’s recessed side walls and deep sides make it very accommodating for the near shore waters and just off the beach. It’s also more comfortable than the normal center console with cushioned seatbacks and bow platform. It's a pet-friendly boat, allowing you to take your furry friend with you on the water. Those not interested in fishing will enjoy the Nauticstar 23 Deck Boat. This is not a fishing or pet-friendly boat but it is an all-purpose option for tubing, wakeboarding, and cruising. When you want to hit the water with plenty of extra room, this is the boat for you. 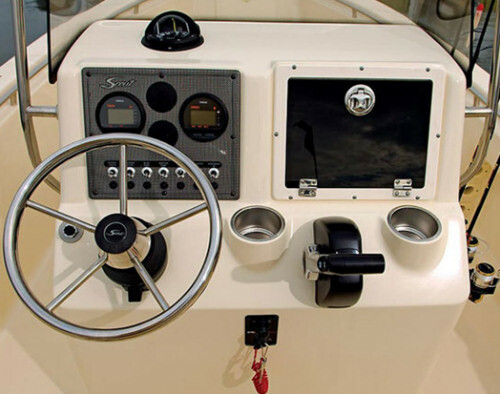 It's designed for taking the fun to the water with plenty of seating, a Bimini top over the center and a ski pylon for all the watersports. Lots of storage for water skis and other equipment in the deck storage hatch. Maybe you're just looking to relax and get some sun. 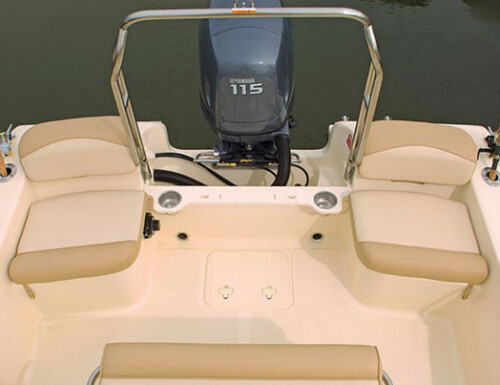 The front of the boat features a bow lounge perfect for laying out and working on that tan. When it's time to cool off, the storage hatch provides the perfect size for plenty of water, sports drinks, and other beverages. You can even store your life jackets and other items under the lounge area. Both of these boats are now available for members. Take one out this weekend and discover why the Jacksonville Boat Club is the better way to enjoy the water.